The Secret History Of Chicago Salsa Salsa is most commonly linked to New York and Miami, but a neighborhood in northwest Chicago boasted a vibrant salsa scene in the 1970s. A new compilation explores this hidden era in the city's music history. When you think of salsa music in America, the first city that comes to mind is probably New York, or maybe Miami. However, Chicago also boasted a vibrant salsa scene in the 1970s, centered on the northwest neighborhood of Humboldt Park. A new compilation called Cult Cargo: Salsa Boricua de Chicago looks at this hidden part of the city's music history. Carlos Ruiz arrived in Chicago from New York in 1950. The Puerto Rican native was a dancer by training and saw a need for a cultural and social venue to bring together the city's growing immigrant community. So he founded The Puerto Rican Congress of Mutual Aid, originally housed in a basement a few blocks north of the stretch now known as Paseo Boricua — the Puerto Rican Promenade. 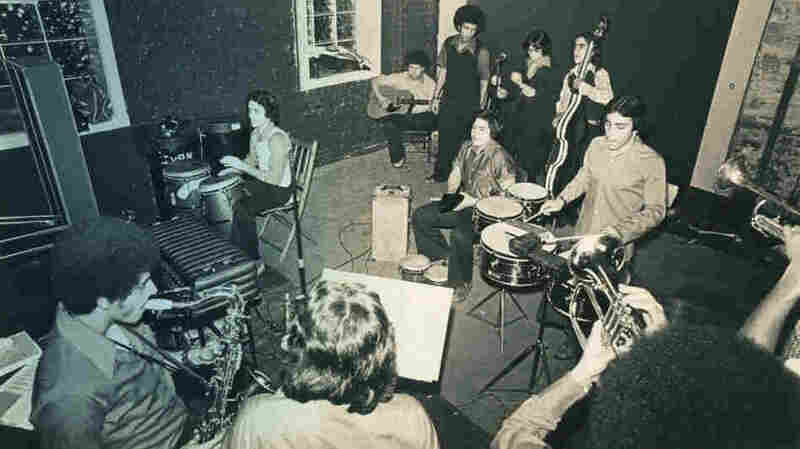 By the late 1960s, the earliest salsa sounds from New York began to reach the Puerto Rican community in Chicago, then the second-biggest in America. Ruiz's Congress had become a local institution, so it was only natural that when a young band named La Justicia needed a place to play, the musicians approached Ruiz. When Ruiz decided to record some of the bands, Ebirac Records was born. It was one of the few labels anywhere devoted to Chicago salsa. 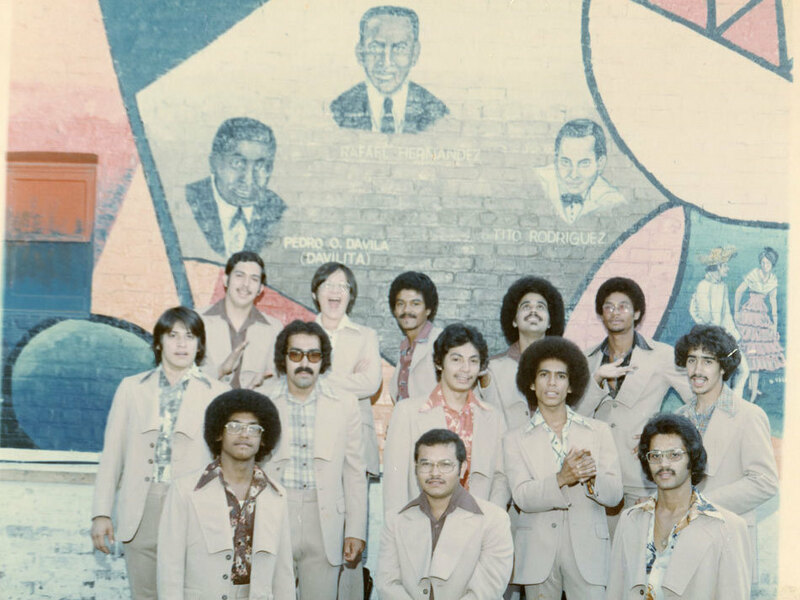 La Justicia, one of the earliest Chicago salsa bands, poses for a photo. The U.S. salsa scene was dominated by Puerto Rican musicians. In New York, they drew heavily on Cuban styles such as the guaguanco and son montuno, but in Chicago, the local community turned to Puerto Rican influences, especially folkloric dance rhythms like the plena. If Chicago's salsa history is largely unknown, it's partly because the major Latin labels in New York and Miami took little interest in the city's bands. On the one hand, that meant Ebirac could command its own empire. On the other, the label's resources were limited, so most of its recordings were sold directly to fans at performances and had almost no national distribution. Cult Cargo: Boricua Salsa de Chicago offers an exhaustive set of liner notes, in large part because it was compiled by the Numero Group, a label based in Chicago. The notes summarize a massive interaction of musical, cultural and political movements. The CD's 15 songs can only skim the surface of that dense history, but at the least, they document an era that otherwise might only have survived in people's memories. Chicago may be more famous for its blues, soul and house scenes, but this new compilation reminds us that other music has been vitally alive in the city, especially along the Puerto Rican Promenade.